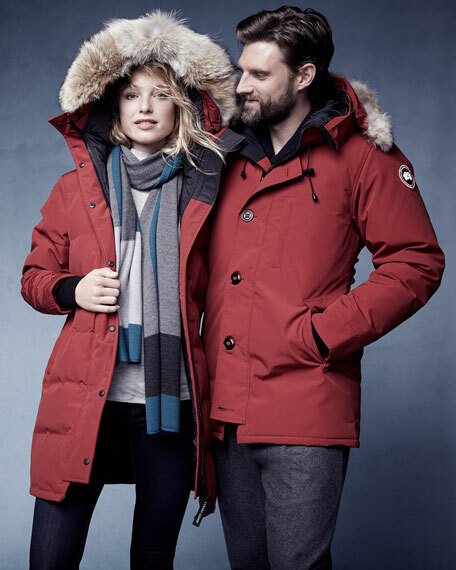 With a TEI score of 3, the Canada Goose "Shelburne" parka can endure daily temperatures from -15 to -25 degrees Celsius (5 to -13 degrees Fahrenheit). 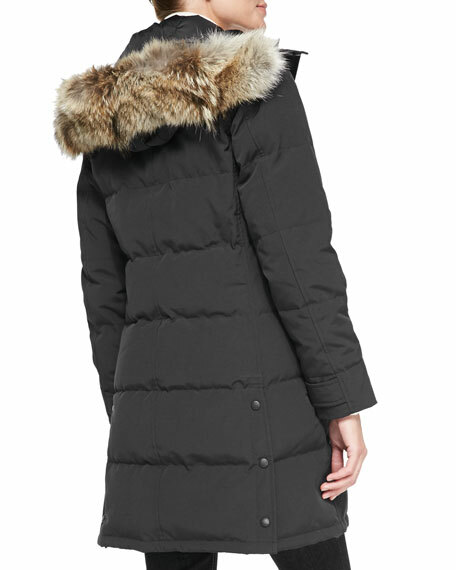 Canada Goose Shelburne parka with 625 fill power white duck down. Water resistant and windproof shell with ribbed knit trim. Hood with natural coyote (Canada) fur ruff. Front vertical pocket with snap closure. Back vents with snap closure. For in-store inquiries, use sku #874954.